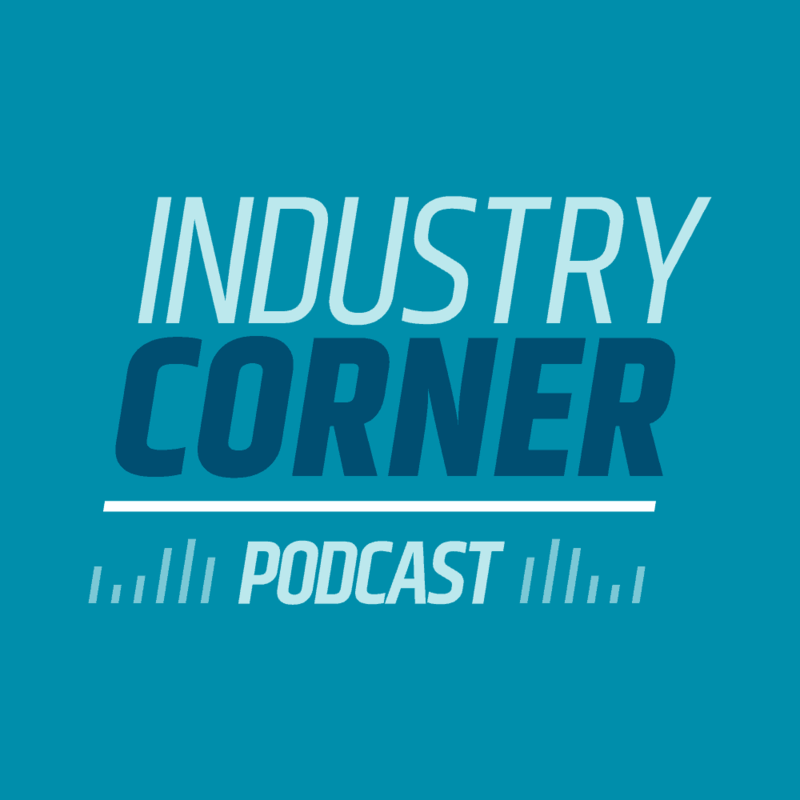 Chris: In this podcast we talk about BCC Software's recent acquisition of Satori Software, USPS leadership changes, the latest on Informed Delivery, and promotions for 2019. So let's get into it. Anita: You usually start the podcast and of course I'm going to give you the honors because you certainly deserve a lot of recognition in our new exciting news. Anita: You can't be 50! Chris: I appreciate that, but for a lot of us, I know a lot of our listeners have been in at least that long. Maybe longer. We're not USPS employees, but gosh, we bleed postal blue too. We love this industry and we care about it and I'm just so thrilled that now with one team we're going to be able to leverage these technologies. And I'm excited to harmonize the product and rationalize some of the things and optimize the solution suites going forward. So we're excited. I know the employees on both sides, BCC Software, and what was Satori Software, now part of our team, are very, very excited. I came back from Seattle earlier in the week when I made the announcement to everybody there and I just think everyone's thrilled and hopefully the industry is too. Anita: I hope so too. You know, when we were talking about it the other day, I was just admiring how you take an altruistic view of this. I mean, it really is a good thing for the industry and that's just who you are. Chris. Chris: Thank you. I appreciate that. Hopefully people have known me long enough to know that I absolutely do care about the industry and that I put the needs first of the, of the industry, whether I'm speaking at a PCC event or the National Postal Forum or I've been involved with MTAC. It's not about Chris Lien, it's not about who my employer is at the time and there've been a number of over the years, but it's always been for the betterment of the industry and now when I think about the address quality solutions and being able to leverage that, when I think about the expansive data services that now we're going to be able to bring to all these customers and the number one thing that I'm really thrilled about is the customer support, the live customer support. That is just so important to me personally. I really am proud of the customer support representatives that answer the phone live. They're Certified USPS Mailpiece Design Professionals, so I'm anxious to enhance the current support system that I know was Satori Software was providing their customers. I want to enhance that. I want to start adding that live customer support to all of the customers regardless of size. It's really important that we help to improve the value of mail and help to create a multichannel experience that leverages mail. I've said it before, you can't do multichannel without direct mail and we're just going to take direct mail to the next level. Anita: That's right. That's right. And you know when. Now when you brought me on board over a year ago, you said that the focus was going to be on growth and you've pulled it off and I'm just. I'm very, very excited to be a part of it. Chris: Well good. Thank you. So again, a lot more to come, I'm sure. For our listeners, stay tuned, continue to visit bccsoftware.com. Certainly listen to our podcast, Anita, you and I are going to continue to do the podcast as we go forward here. There's a lot to talk about and a lot of changes. In fact, not only with the software industry, but there was some recent leadership changes at headquarters as well. Right? Anita: Exactly right. And then Eric Chavez, I don't know if you know Eric, but he is a great guy. He's been in the southern area for a long time and I'm really thrilled about that appointment. Chris: Oh, that's great. No, I don't. I don't know if I have met him, but I'm looking forward to if I haven't. Anita: So let's talk about the interesting ones that we didn't anticipate. Anita: Right. New Chief Human Resources Officer. What do you think about that? Chris: Isaac is great. I've had some really good conversations with Isaac in the past. He's a bright individual, very thoughtful in dealing with people. I've always found him to be an incredible listener, whether it's on a one on one engagement or he's standing in the front of what can be a boisterous MTAC meeting and he genuinely listens. So I think as a great listener, as somebody that has just a lot of heart and concern for individuals, I think he's going to do exceptionally well as the new Chief Human Resources Officer. Anita: Yeah. I was surprised that Jeff Williamson left to return to the private sector and I think the industry is going to miss Isaac. Chris: We are too. It's interesting. I was thinking about that when I saw the announcement. He wasn't quite in the, in that sort of the foursome of the postal vice presidents, you know, and stuff like that. And so I think that's where we first kind of met him. He was starting to attend some of the MTAC industry leadership meetings and then pretty soon, you know, we saw that he was, he kind of moved up the ladder. So I'm really excited for Isaac. I think that's great. It's a position well deserved. Anita: Exactly. So now he was enterprise analytics. Right? So now Jeff Johnson was the VP of information technology. He's moving into that slot, right? Chris: That's right. So kinda shifting chairs here a little bit. So that is Jeff Williamson, as you mentioned, decided to return to the private sector. Isaac moved into that position, freeing up his chair. Jeff Johnson then moved into that particular position and I haven't had a lot of interaction with Jeff. He stopped by our booth at the National Postal Forum, chatted with them, little bitty presented at MTAC a number of times, but I know certainly he did run that it group very well and I think that his appointment is a reflection of that. Anita: And then the big surprise is that Pritha is taking over as VP Information Technology. Anita: Or cooking in her kitchen. I mean, everything she does, she excels and she's the hardest working person I know. Chris: Pritha's great. She's wonderful. The only thing that's kind of bittersweet with it is I don't think because of her change in the position, I don't think we're going to get a chance to interact with her as much as we used to once he was at payment and entry, so excited for you. And uh, she's a Donald A. Mumma Award winner and certainly deserved that too. So we wish Pritha very well in her new role. Anita: And then Mark McCreary, who we were all excited when he came back to the industry or came back into the public view and he was most recently heading up the Informed Addressing. So part of me is a little bit disappointed that he's no longer spearheading that initiative. But wow. Does he have a big job moving into Pritha's shoes? Chris: First of all, that's a big role, to be Vice President, Mail Entry and Payment Technology. That's a huge organization, a lot of moving parts, a lot of technology with it, a lot of customer interaction in mail supply chain interaction, which you know what Anita, Mark has got a proven track record of working with the industry. He truly is a great collaborator and again, he does things from an altruistic aspect. He's there to help make mail work and prove the value of the supply chain and again, another reason why he also is a Donald A. Mumma Award recipient as well as a reflection of that. So we're thrilled that Mark continues to be involved. I'm thrilled that he's in that position because we're going to get to work with him a lot. But your point about the Informed Addressing, I agree with you on that. I think that not having him involved in that, we'll have to kind of see how that goes and I think maybe a future podcast on Informed Addressing is certainly in order. But really thrilled for Mark and I think that that's a direct reflection of his hard work and dedication and of course, note, you know that I think everything up to this point we've been saying these are all acting right. The postal service always puts that little footnote of an “A”, acting in that role because of the organization. Anita: But in the case for Mark, it's a promotion for him. So congratulations, Mark, if you happen to be listening. Chris: Yeah, I hope so. That's good. So again, some familiar names, some changing of their positions, but certainly an opportunity to continue to work with them as we improve the supply chain and mail value and that's important, right? Because we need to make sure that mail pieces count and that people see value in the mail. And one way that I think that they can see value in the mail is that daily email of informed delivery. There's some latest statistics on the informed delivery. Anita: Right. And you know, I've kind of been keeping track of that because the postal service had announced that their goal for 2019 was to reach 20 million. I don't know if that's calendar year or fiscal year, but it looks as though they're adding about a half a million names each month. So at MTAC we had 13.7 million registered users and on a recent user group 12 call, it was pointed out that there are now 14.7 million registered users. So it looks as though they could reach that by the end of the year. So that's good news. And then they email open rate is taking back up. So it had dipped down to in the 50s back in November and now it's back up to 63.7. So I mean that's no matter how you look at it, that's a pretty incredible or impressive open rate. Anita: And I would encourage people to get involved in user group 12 because they're doing some pretty exciting things. They're now working out how do we make a personalized campaign work without sending a huge file back and forth and setting up some, a subgroup to focus on that. So there's a lot of progress being made. Chris: Good. So they're making it more approachable. Right. From a technology aspect, it's not this huge hurdle of how do I get this to work? Okay, good. Well, Informed Delivery, is certainly one opportunity, but there are also ways as we kind of wrap up here, some mailing promotions for 2019. Anita: Yeah. I just wanted to remind everybody that they're really coming up on us pretty quickly. In fact, the Tactile, Sensory and Interactive Mail Piece Promotion, the registration started back in December, but the actual promotion period is February 1st through July 31st, so that is available for anyone who's mailing marketing mail. And then Emerging and Advanced Technology Promotion. That one has a registration period that began in January, January 15th, and then the promotion period starts in March. So these are all coming out and I also wanted to mention that the postal service promotions department headed by Vicki Stevens. They're putting on some really incredible webinars that our listeners should be aware of if they go to https://postalpro.usps.com/promotions/webinars, and I'm sure they could do a search, but there's some really great webinars. In fact, they just had one the other day on the new Earned Value Reply Promotion. So anyway, there's a lot of information out there. Earned Value registration starts February 15th, so that's just right around the corner as well. With the promotion period of April 1st through June 30th. I know I've been asked when will previous participants in the earned value promotion get their thresholds because you know, we didn't have any promotions in 2017. Right. So I understand that they're still working on that and they'll be getting an email out to the user group 8 members, which is Promotions User Group with directions on how to view their thresholds on the program registration. Chris: All right, well that's great information. https://postalpro.usps.com. Go and visit there, look at the promotions, get involved with that. That's a great way to get additional discounts as well as take a step forward, leapfrog the competition, so to speak, by leveraging some of these promotions with us postal service with multichannel enhanced direct mail. Anything else? Anita? Anita: You know, the only other thing I can think of is that we know that the postal regulatory commission and the OIG were furloughed for a short period and so the PRC I think was closed for about 10 days and so I noticed that today or yesterday, they put out an order extending the comment period for the annual compliance report because they were due January 31st and they've extended that to February 14th, so I think that was the latest on that. Chris: All right, well that's nice. That means then the industry doesn't get penalized as a result of the shutdown because I know we've been asked before you and I both, as you know, hey, what's the impact of the US Postal Service as a result of the government shutdown? And the answer is really nothing to the US Postal Service, but the PRC and the OIG were impacted slightly with that, but I'm glad to hear that kind of move that back. Right. All right, Anita, thanks for kicking off the podcast today with the exciting news. Anita: Oh Gosh. I am thrilled to death and congratulations, Chris. And congratulations to BCC Software and to Satori. Chris: Well, thank you very much, Anita, and I'm going to add congratulations to the industry. Stay tuned. We are going to do some really, really exciting things, folks, leveraging the technology and the talent from this combined seven decades of thought leadership and opportunity to be able to enhance the value of mail. Chris: And as always, if you've got any questions, please visit us at BCCsoftware.com or give us a phone call. As always, we'd like to know, “How can we help?”.